Despite the fact that it was 100 degrees today, I still felt the urge to bake, but wanted it to be relatively healthy. Out of that, came the creation of these muffins. If you’re looking for something SUPER chocolatey then this isn’t going to be as exciting as you expect it to be. Though, you could up the chocolate factor by adding in some chocolate chips, which I didn’t do. Here’s what I did, this is a basic quick bread recipe so you could add in whatever you wanted if you don’t want the chocolate muffins. 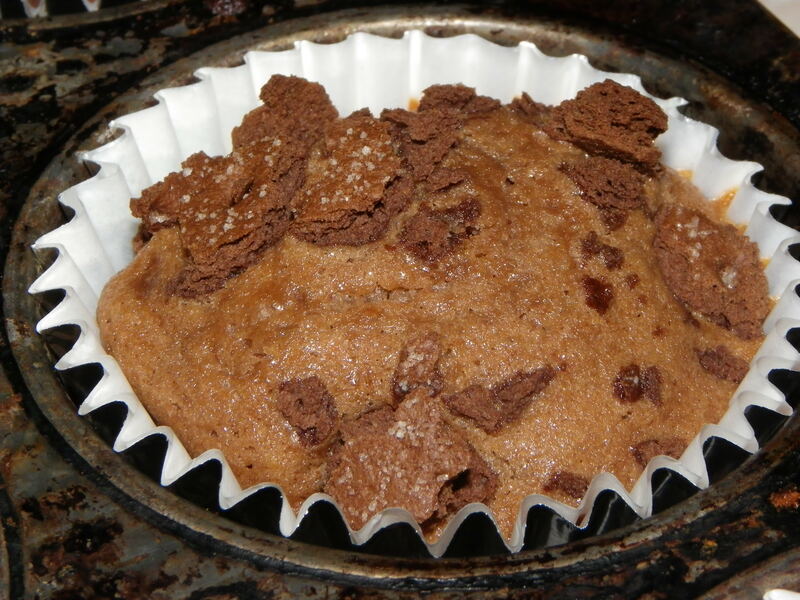 You’ll also need 2 chocolate graham crackers to crush and sprinkle on top before baking your muffins. Once you’ve mixed all of your ingredients together, fill muffin pans about 2/3 of the way full with the batter and sprinkle with crushed graham cracker. It’s been WAY too long since my last post. Since then, I’ve decided to add an element to my blog… weight loss. Yes, from this point on weight loss will be a new topic for me to blog about. I’ve tried to lose weight time and time again, stuck to a diet/lifestyle change for a couple weeks and just ended up right back where I started. I figure maybe if I make this a public part of my life, I’ll actually stick to the plan and get this extra weight off of me. As soon as we get a working scale, I’m going to buck up, weigh myself and begin to document my weight loss on a weekly basis along with my exercises and any awesome recipes I may come across. I’m a SUPER picky eater so this will be interesting. I’m going to start by cutting coffee/pop from my diet beginning tomorrow and go from there. Any tips, tricks, strategies, etc. you may have, feel free to leave them in the comments. I’d definitely appreciate it! Note- This isn’t going to be strictly a weight loss blog, I’m still going to keep up the usual posts along with my diet journey. Thanks for following me!